Last weekend while we were in Long Beach for the ALMS race, I also managed to catch a bit of the Formula D team drift events that were happening during the LBGP. We had just been to the main Formula D event the week before, but it was quite interesting to look at the differences between the two events. 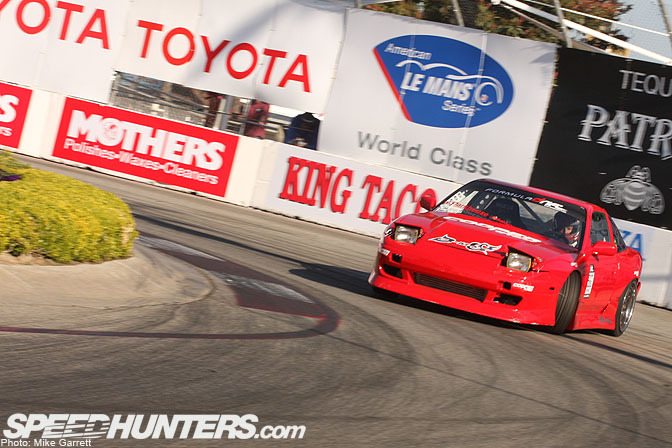 One of the things that I liked about the team drifting is that the drivers were basically given free reign to drift the entire Long Beach street course, instead of just the section that was used for the FD event. 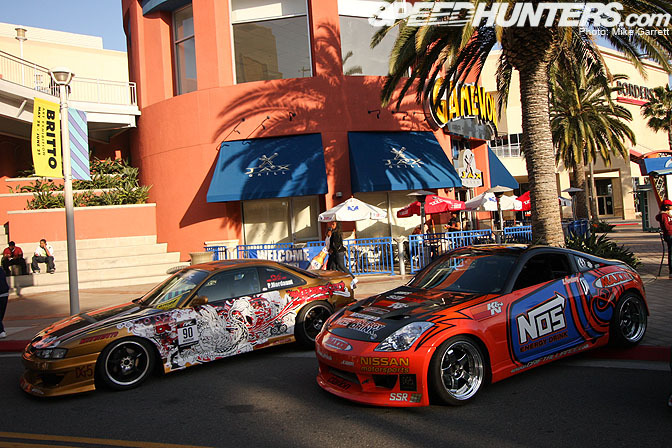 Thursday night the drift cars could be seen at the special gathering at the Pike. 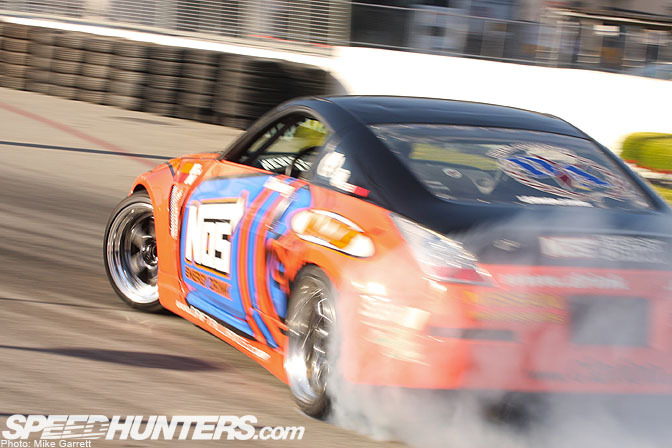 It was cool to see Chris Forsberg out there with his Z33 hardtop practice car. During Friday's drift practice, I decided to camp out near the fountain area in an attempt to get some "rare" drifting shots on this scenic part of the Long Beach course. I asked the course workers if the cars were going to be drifting this section of the track, and one of them replied to me "They'd better not!". A few minutes later the first group of cars entered the corner – all three sideways and heading straight towards the wall. Conrad Grunewald's Corvette was looking as good as new after the crash he had less than a week before. Apparently his body men worked day and night to have the car repaired in time for the team drift event. 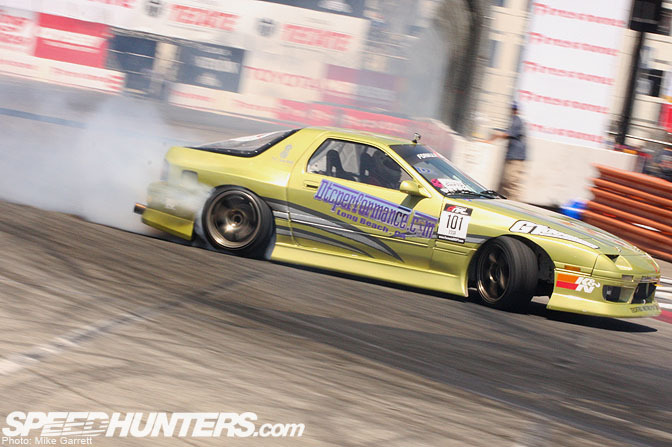 Cody Parkhouse sliding his S13 around the fountain. 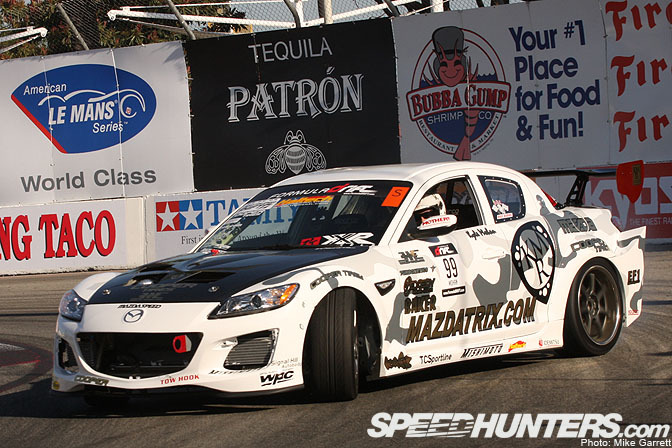 And Long Beach local Kyle Mohan doing the same in his RX8. On Saturday I watched drift practice from a more familiar spot, turn 10 just past the Firestone bridge. 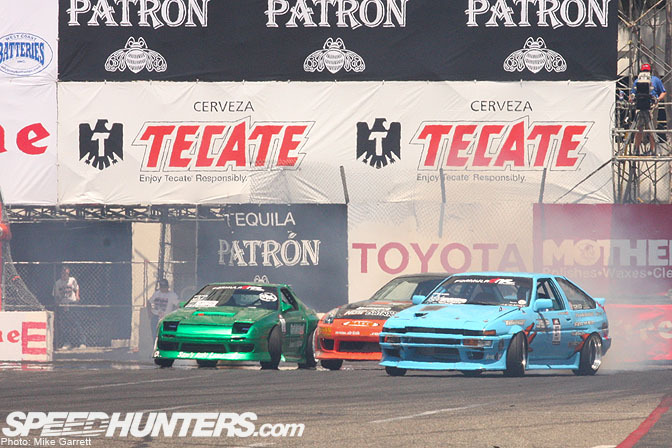 Here's John Rusakoff leading Chris Forsberg and Justin Pawlak as Team Drift Alliance. 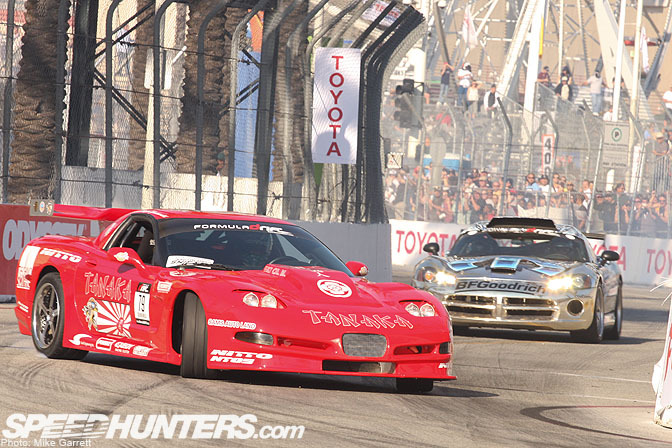 Michael Essa's 'Vette-powered FC has become one of my favorite cars in Formula Drift. I'm hoping to see him run a full schedule this year. I wasn't able to stick around and see the actual competition on Sunday, but here's a shot of the eventual winners as they make their way through turn nine in tight formation. Congrats to John, Chris, and JTP for their team drift victory! David, that's Taka Aono. 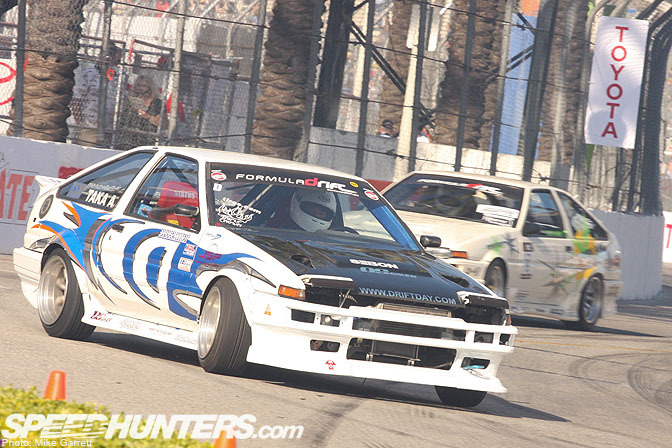 For team drift he was using a different car than his competition AE86. Wow seeing them drift around the whole track would have been awesome!